Your support is urgently needed to assist children, women and men fleeing conflict to Bangladesh. 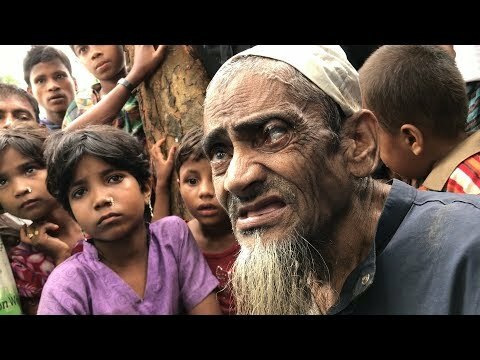 Over 700,000 Rohingya children, women and men have been forced to flee to Bangladesh escaping violence in Myanmar since. Donating now will deliver shelter, blankets, clean water and more to families facing monsoonal rains in Bangladesh. They have walked for days through jungles and mountains, or braved dangerous sea voyages across the Bay of Bengal. As they arrive exhausted, hungry, sick and in need of protection, UNHCR is on the ground in Bangladesh leading the emergency response effort. Monsoon and cyclone season has arrived, and hundreds of shelters have already been damaged. Thousands of refugees will face grave risk of landslides and floods. Refugees will also face heightened health risks due to the potential for the contamination of water bring the spread of diarrheal diseases, malaria and more. Please make an emergency gift to provide life-saving aid like tents, tarpaulins, monsoon kits and water decontamination tablets.